The North Suburbs of Chicago are a beautiful combination of charming cities, towns and villages, many along Lake Michigan, that distinguish themselves by their thriving communities. 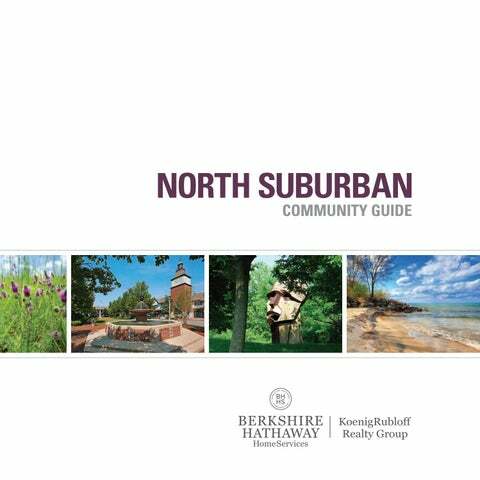 From beaches and marinas to parks, trails, and nature preserves, the North Suburbs easily have something for everyone. A tremendous lifestyle with the best of everything awaits you. At its heart, real estate is a local business and we participate in and give back to the communities we live in and love. 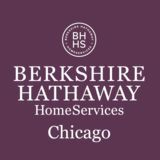 At Berkshire Hathaway HomeServices KoenigRubloff Realty Group, we are passionate about what we do and continually strive to be the foremost provider or superior real estate services. Metra trains of fer ser vice in Arlington Heights via the Union Pacific Northwest Line. Arlington Heights was founded in the mid-1800s and is currently the 12th largest municipality in Illinois. Officially incorporated in 1887, the Village currently has a population of just over 75,100. There are shopping centers in Arlington Heights and the primary retail districts include Downtown, Uptown, and Southtown. Arlington Heights is served by School Districts 25, 23, 59, 57, 21 and 15 for elementary schools. The Village is also served by School District 214 which has six high schools and an educational center. The Arlington Heights Park District offers the community a variety of fitness and recreation opportunities including five community centers with outdoor pools, an Olympic indoor swim center, two tennis clubs, two public golf clubs, an outdoor skate park, and parks. 35 MILES Barrington is a lovely suburb of Chicago that has history and charm. The area of Barrington spans about 90 square miles and has a Historical Society and the historic Catlow Theatre. The Village Center has a number of restaurants and stores to enjoy and shop. Students attend school in District 220, which includes a number of elementary and middle schools, as well as Barrington High School. The Barrington Park District offers recreational activities and venues for its residents that include parks, an aquatics center with splashpad, a fitness center, and an ice rink. Barrington is also known for its green initiatives. In the 1980s, Barrington began a recycling program that today includes curbside recycling, and has also had a Tree City USA designation for the past 24 years. Metra trains of fer ser vice in Barrington via the Union Pacific Northwest Line. Metra trains offer service in nearby Barrington via the Union Pacific Northwest Line. Barrington Hills offers a rural setting amongst rolling hills, trees and winding roads. Spanning approximately 29 square miles, portions of Barrington Hills extend across Cook, Kane, McHenry, and Lake Counties. Incorporated in 1957, the village is known for its equestrian farms and estates. Students attend school in District 220, which includes elementary and middle schools, as well as Barrington High School. There are over 4,722 acres of forest preserve in Barrington Hills, which encapsulates the Barrington Hills Park District. The park district provides residents with picturesque locations for biking, running, and trails for horseback riding. 34 MILES The Village of Buffalo Grove extends into both Cook and Lake counties. The first settlers arrived in the area around 1834 from New England, with many of them receiving land grants from the government. Students can attend elementary and middle school in School Districts 96, 102, and 21, and High Schools include Buffalo Grove High School in District 214 and Stevenson High School in District 125. Operating since 1969, the Buffalo Grove Park District today includes 51 park sites, spanning over 417 acres that encompasses the Raupp Museum, community arts center, golf dome, outdoor pool, fitness center, and playing fields. Metra trains offer ser vice in Buffalo Grove via the North Central Service Line. Metra trains of fer ser vice in Des Plaines via the Union Pacific Northwest Line. The Village of Des Plaines was incorporated in 1869 and now has a population of over 50,000. The City has experienced increasing industrial growth over the past 20 years and is in close proximity to one of the nationâ&#x20AC;&#x2122;s largest airports, Chicago Oâ&#x20AC;&#x2122;Hare International. Rivers Casino is located in Des Plaines and provides a gaming entertainment option for those that are 21 and older. Des Plaines is served by School District 62 that includes eight elementary schools, two middle schools, a learning center and a community school. Students that reside in Des Plaines can attend Maine East High School. Des Plaines Park District offers an 18-hole golf course and an 18-hole mini golf course, 37 park sites, bike trails, ice skating, 73 acres for fishing, three swimming pools, and a fitness center and health club. The Des Plaines Park District also boasts recreational programs and special events. 10 MILES Located on Lake Michigan, Evanston is a vibrant North Shore suburb of Chicago. Evanston covers more than 7.8 square miles, has a diverse population of about 75,000 residents or 30,000 households and boasts gorgeous beaches and quiet treelined streets. Evanston/Skokie School District 65 serves the Evanston community. Elementar y schools and Evanston Township High School provide regular and accelerated studies programs in conjunction with Northwestern University, one of the nationâ&#x20AC;&#x2122;s most prestigious universities. Evanston has three community centers, a senior center, five public beaches, and an art center. Metra and CTA trains offer service in Evanston via the Metra North Line and the CTA Red and Purple Lines. Metra trains of fer ser vice in Glencoe via the Union Pacific North Line. This North Shore suburb was developed as a model community in 1869. Strict zoning ordinances were set to ensure the preservation of nature while streets and homes were built along the natural contours of the land. This tree-lined village has been the proud recipient of the “Tree City USA” award since 1985. Downtown Glencoe contains many small specialty shops, services and restaurants. Glencoe is served by School District 35, which includes top rated elementary and middle schools. High School students can attend New Trier High School in nearby Winnetka, which is highly regarded for academic excellence. Glencoe’s active Park District maintains 44 parks and offers yearround recreation for all ages in both indoor and outdoor facilities. The 320-acre Chicago Botanic Garden is located to the west of the Village and offers various horticulture classes for enthusiasts. 20 MILES Incorporated as a village in 1899, Glenview was originally a small farming community. Today, Glenview is a spacious and quiet residential community with tree-lined streets and an award-winning school system. The village covers about 14 square miles and is home to approximately 45,000 residents. Glenview is home to a wide variety of shopping and dining attractions. Students can attend school in Glenview District 34 and the Glenbrook High Schools in District 225, which are amongst the highest rated in the Chicagoland area. Glenviewâ&#x20AC;&#x2122;s award-winning Park District includes 30 parks and playgrounds, skating rinks, 28 outdoor and eight indoor tennis courts, two swimming pools, and an 18-hole public golf course. Cook County Forest Preserve biking and horseback riding trails run through Glenview. The Glen Town Center, on the site of the U.S. Naval Air Station, is a shopping and dining destination. Metra trains of fer ser vice in Glenview via t wo stations on the Milwaukee District Nor th Line. Metra trains offer service in nearby Schaumburg and Palatine via the Milwaukee District West and Union Pacific Northwest Lines. With a population nearing 55,000, Hoffman Estates is a hub for business and economic development. Hoffman Estates was officially incorporated in 1959 and has continuously grown since then, adding public facilities such as schools, fire stations and library branches. The Higgins and Roselle shopping districts give visitors and residents numerous options for shopping and dining including Golf Center, Hoffman Plaza and Valli Plaza. Hoffman Estates is served by School District 54, which is now the largest elementary school district in Illinois outside of Chicago. The Village is also served by School Districts 46, 15, 211, U-46, and 300. Hoffman Estates High School has been named as one of the outstanding high schools in the State of Illinois. The Hoffman Estates Park District offers two community centers, a premier 18-hole golf course, stateof-the-art fitness center, twin ice arenas, a family aquatic center, and 72 parks. 14 MILES The small village of Kenilworth is a master-planned development on the shores of Lake Michigan. It was planned by architect Daniel Burnham to resemble a grand retreat in Warwickshire, England and has grand estates on large lakefront lots. The village covers just over Â˝ square mile and has a population of about 2500. Kenilworth has its own school district in which children attend the Joseph Sears School. Sears School is for students in grades kindergarten through eighth. For high school, students attend the highly acclaimed New Trier High School in Winnetka. The Kenilworth Fountain, designed by George W. Maher, is located in the heart of Kenilworth on Kenilworth Avenue, just east of the railroad tracks. Further east is the Kenilworth Avenue Beach, which is divided into a swimming beach and a sailing beach. The Kenilworth Assembly Hall is a community building used for gatherings, school events, and organizational meetings. Metra trains of fer ser vice in Kenilworth via the Union Pacific North Line. CTA offers service in Lincolnwood, and Metra offers service in nearby Edgebrook via the Milwaukee District North Line. Originally named Tessville after Johann Tess, the village became Lincolnwood in 1936. Today it spans over 2.69 square miles and is anchored by strong residential, commercial and manufacturing properties. Lincolnwood is served by School District 74, which has three facilities for preschoolers, elementary, and junior high students. High School students can attend school at Niles West High School in District 219, in neighboring Skokie. The Lincolnwood Parks and Recreation Department manages 13 parks, an aquatics center, two bike paths and a community center. 16 MILES Located in Cook County, the Village of Morton Grove is within close proximity to Chicago. It was named after former Vice President of the United States Levi Parsons Morton, who was also a banker, ambassador to France, and sat on the U.S. House of Representatives. Just days after he became the Governor of New York, the area was incorporated into a village in 1895. School Districts 70, 67, 63, 69, 219, 207, and 807 serve Morton Grove. The Morton Grove Park District offers numerous recreational areas, parks and facilities that include a community center, museum and education center, pools, and fitness center. Metra offers service in Morton Grove via the Milwaukee North District Line. Metra trains of fer ser vice in Mount Prospect via the Union Pacific Northwest Line. Mount Prospect was incorporated in 1917 and is a northwest suburb of Chicago with a population of about 54,000. The downtown area had a booming redevelopment in the 1990s and 2000s and is now a combination of award-winning schools, local commerce, park districts, shopping centers and new buildings. Randhurst Village is located in Mount Prospect and is a very popular shopping destination that includes numerous dining options. Mount Prospect is served by School Districts 57, 59, 26, 21, 23, 25, and 214. Encompassing more than 454 acres, the Mount Prospect Park District offers recreational facilities including a 92,000 square foot recreation complex, a big surf wave pool, a golf club, a conservatory, an aquatic center, and a nature center. 15 MILES Niles is a village with a population of close to 30,000 residents. The Village has recently built several new facilities that add considerable services to the community. Village Crossing is a shopping area within Niles that has stores, restaurants and a movie theater. Niles is served by School Districts 63, 64, 67, 71, 72, 207, 219, and 512. The three high schools within District 219 are Niles West, Niles North, and Niles Central. The Niles Park District offers facilities and recreational programs for the community including an ice rink, sports complex, skate park, golf recreation center, tennis club, and parks. Niles offers free courtesy bus service. Metra trains of fer ser vice in Northbrook via the Milwaukee District North Line. Known as the â&#x20AC;&#x153;Village of Friendly Livingâ&#x20AC;?. Northbrook keeps both residential life and industrial growth in harmony. Abundant forest preserve land affords the community seclusion and tranquility. Northbrook Court features stores and restaurants. Downtown Northbrook includes small shops and grocery stores. Nine elementary schools and 4 junior high schools serve the area. High school students attend Glenbrook North and South High Schools. The Glenbrook North High School Center for the Performing Arts, a multi-million dollar 1500-seat facility, hosts the Northbrook Symphony Orchestra as well as high school theater activities. Community golf courses, tennis courts, an aquatic center and over 300 acres of park land are among the amenities for residents. The Northbrook Velodrome is one of the only quarter-mile bike tracks in the nation. 17 MILES Incorporated as a village in 1926, and one of the few suburbs which issues licenses for keeping horses, Northfield has maintained a country atmosphere. Surrounded by country clubs, golf courses, and forest preserves, this community remains residential with limited commercial development in the downtown area. Shopping areas can be found within the Village limits. Specialty stores, antique shops, and restaurants are among a variety of businesses. The area is served by Middle Fork primary and Sunset Ridge Middle School. High school students attend either New Trier High School in Winnetka or Glenbrook South High School in Glenview. Northfield is home to extensive biking, jogging and bridal paths, plus 3 parks and the Skokie Lagoon Forest Preserve. It also features a large and well-attended senior center and a community center. Willow Park is Northfield Park Districtâ&#x20AC;&#x2122;s largest park and sports complex featuring 4 lighted ball fields, 2 lighted soccer fields, 4 tennis courts, a Â˝ mile pathway system with fitness stations and a picnic shelter. Metra trains of fer ser vice in nearby Winnetka and Glenview via the Union Pacific North and Milwaukee District North Lines. Metra Trains of fer ser vice in Palatine via the Union Pacific Northwest Line. The Village of Palatine was incorporated in 1866, and between 1960 and 1970 the population grew by over 14,000 people. Today Palatine is a mix of residential, commercial, light industrial and office space, parks and open space. Palatine is served by School District 15, which is the third largest elementary district in Illinois and High School District 211. Harper College is also in Palatine. The Palatine Park District facilities include a community center, an aquatic center, two public pools, and a recreation center. 15 MILES Park Ridge is a suburb of Chicago with a population of over approximately 37,000 residents. Incorporated as a village in 1873, it is a prime residential community with tree-lined streets and world-class schools. The Uptown area of Park Ridge offers a charming downtown shopping district with many restaurants. Park Ridge is served by School District 64 which offers eight elementary schools, and School District 207, which includes Maine East and Maine South High Schools. The Park Ridge Park District provides a bevy of programs and events to promote health and wellness. It includes over 20 parks, a community center, ice arena, nature center, and sports complex. Metra trains and the CTA offer service in Park Ridge via the CTA Blue Line and Metra Union Pacific Northwest Line. The CTA offers service in Rosemont via the Blue Line. Rosemont is a village within Cook County that is a base for tourism, conventions, and entertainment. Conveniently located within minutes of Oâ&#x20AC;&#x2122;Hare International Airport and close to Chicago, through time it has become an integral suburb of the city. School Districts 78, 62, 212 and 207 serve Rosemont. The Park District of Rosemont maintains facilities that include a recreation center and athletic complex as well as numerous parks. Allstate Arena, Rosemont Theatre and Donald E. Stephens Convention Center all serve as popular venues for events, while the Fashion Outlets of Chicago offer numerous dining and retail options for the community. 16 MILES Located 16 miles northwest of downtown Chicago, the Village of Skokie is 10 square miles of land bordered by Glenview and Wilmette on the north, Lincolnwood and Chicago to the south, Morton Grove and Niles on the west, and Evanston on the east. The Village is highlighted by the nationally acclaimed Skokie Park District, North Shore Center for the Performing Arts, and multiple shops and dining options at Westfield Old Orchard Mall. Skokie was the first community in the entire U.S. to have the Fire, Police, and Public Works Departments all nationally accredited. The Skokie Public School District serves the village and offers K-12 education options. T h e C TA Yello w L in e o f f e r s service in Skokie. Metra of fers train ser vice in Barrington via the Union Pacific Northwest Line. South Barrington is a village in Cook County. Incorporated into a village in December 1959, it has since experienced growth and redevelopment. Many residential subdivisions offer picturesque landscapes, and office complexes serve as the base for numerous businesses. School District 220 serves the Villageâ&#x20AC;&#x2122;s student population. The South Barrington Conservancy is 35 acres of lightly wooded prairie and wetland along the west side of Bartlett Road. Beautiful and serene, the Conservancy preserves the Villageâ&#x20AC;&#x2122;s rural roots and the community is welcome to enjoy the area from sunrise to sunset. 15 MILES Wilmette is a charming community and a multiple winner of the â&#x20AC;&#x153;Tree City USAâ&#x20AC;? award. The east side of town, along Lake Michigan, captures the history of the community: cobblestone streets and antique lampposts. The Village covers roughly 5.3 square miles. Shopping centers include the downtown district and Edens Plaza. Elementary and middle school students attend school in District 39. High School students can attend New Trier High School in nearby Winnetka, which is a part of District 203. The Wilmette Park District operates 19 parks with over 320 acres of land. Gillson Park features a 1,000-foot natural sand beach attracting water sports enthusiasts as well as those who enjoy swimming and sunning. Wilmette features one of the premier sailing beaches in the Midwest. Wilmette is home to the Michigan Shores Club, Westmoreland Country Club and the Sheridan Shore Yacht Club in addition to the U.S. Coast Guard Lifeboat Station. Metra and CTA trains offer service in Wilmette via the Union Pacific North Line and the CTA Purple Line. Metra offers train service at both the Winnetka station and Hubbard Woods station, via the Union Pacific North Line. Incorporated in 1896, Winnetka is home to New Trier High School. It is a classic North Shore town located 19 miles north of downtown Chicago. Elegant homes and grand estates line beautifully landscaped streets. The village covers about 4 square miles and features small business districts, downtown areas with restaurants and shops and small businesses. Students can attend elementary and middle school in District 36 and high school in District 203, at New Trier High School. The Winnetka Park District provides residents with programs including sports, camps, classes, performing arts, and waterfront activities. Winnetkaâ&#x20AC;&#x2122;s stunning parks, green space, and beaches are perfect for residents who love biking, fishing, boating, and bird watching. Metra trains of fer ser vice in Antioch via the Nor th Central Service Line. Part of the Chain Oâ&#x20AC;&#x2122;Lakes Region, Antioch appeals to boaters, fishermen, and vacationers. Resident volunteers collaborated to create the new Centennial Playground which includes a haunted house maze, a chain bridge, and a space tunnel in addition to other inventive attractions. This kind of community spirit is commonplace. Residents are served by Elementary Districts 33 and 34. Antioch High School in District 117 is known for its awardwinning newspaper. The Park Board Commission oversees five parks, a pool and various recreational programs for all ages. 30 MILES Settlers arrived in the North Shore village of Bannockburn in 1835 from Ireland. The first homes were constructed in 1924 and the Village was officially incorporated in 1929. With close proximity to Lake Michigan, the ideal location provides a rural picturesque setting in combination with a wonderful residential community. Students can attend elementary and middle school in District 106. High School students attend school at Deerfield High School in District 113. There are a number of trails and pathways in Bannockburn for residents to enjoy. Forest preserves are close to the community as well. Metra trains offer service in nearby Deerfield via the Milwaukee District North Line. Metra trains of fer ser vice in nearby Zion via the Union Pacific North Line. Beach Park’s origins date back to 1908, when the train line from Chicago to Milwaukee was in the planning stages. A stop was constructed called “Beach Station” in 1928. Spanning over 7 square miles, Beach Park was officially incorporated into its own village in 1989. School District 3 has elementary and middle school options for students, while high schools in the area include Zion-Benton Township High School and Waukegan High School. Founders Park and Braim’s Tot Lot are two parks that offer playing fields, tennis courts, walking paths, picnic shelters and playgrounds in the area. 37MILES Incorporated in 1957, the Village of Deer Park is located in both Cook and Lake Counties, just east of Barrington and south of Lake Zurich. Initially, the Village was created to maintain local zoning and land use. The earliest settlers likely arrived in Deer Park in the early 1830s or 1840s. Students can attend elementary school in District 82 and middle school and high school in Districts 95 or 220. With its commitment to green space, the Village has qualified as being a Tree City for a number of years in a row and also has numerous parks and facilities for its residents. Metra trains of fer ser vice in Deer field via the Milwaukee District North Line. Incorporated in 1903, Deerfield is characterized by residential streets flanked by mature trees. There are gentle hills in portions of the Village, and two forest preserves border the North Branch of the Chicago River. The modern central business district is near the intersection of Waukegan and Deerfield Roads. The Village covers about 5Â˝ square miles and is home to just over 18,000 residents. A new shopping district has been added in downtown Deerfield which has specialty stores and restaurants. The public school district has 4 elementary and 2 middle schools. High school students attend Deerfield High and Highland Park High, which both consistently rank amongst the top schools in the state. Deerfield Park District offers year-round recreational programs, a community center, 21 park sites (over 262 acres), two pools, a golf course, baseball, football, basketball, soccer and track fields, tennis courts, sledding hill, ice skating, and playgrounds. 55 MILES The Village of Fox Lake extends into both Lake County and McHenry County. Incorporated in 1906, Fox Lake is a popular summer destination. Nestled within the Chain Oâ&#x20AC;&#x2122;Lakes, the Village offers an ideal setting for boating, swimming, tubing, and jet skiing. Students can attend elementary and middle school in District 114 and high school at Grant Community High School in District 124. Fox Lakeâ&#x20AC;&#x2122;s Parks and Recreations Department offers many recreational and educational activities for its residents. Recreational areas and facilities include a community center, park building with splash pad, playing fields, pavilions, parks with bike paths, sand volleyball courts, and designated fishing areas. Metra trains offer service in Fox Lake via the Milwaukee District North Line. Metra trains of fer ser vice in Gr a y sla k e via the Milwaukee District North Line. Grayslake is a small town positioned for residential and industrial expansion. Active citizens have developed the Greenway Corridor Plan intended to create an environmentally conscious span of protected open space around the Grayslake area. Districts 46 and 50 serve elementary students, who move on to Grayslake High School in District 127. The College of Lake County is a comprehensive community college located within the village. The Grayslake Community Park District offers parks, trails, ice rinks and playing fields. Numerous lakes and ponds promote boating and fishing. Grayslake is home to the Lake County Fair Grounds, featuring such attractions as rodeos, demolition derbies and the Miss Lake County beauty pageant. 40 MILES When Green Oaks was first settled, land was available at $1.25 per acre. Originally known as “the Village of Oak Grove”, the name changed to Green Oaks in 1960. The Village’s population increased by 1,000% between the years of 1960 and 1985, and continues to grow today. Students that live in Green Oaks can attend school in Oak Grove District 68 and Community High School District 128, which includes Libertyville High School. For recreational activities, Green Oaks is surrounded by a number of Forest Preserves that offer parks, trails, and facilities. Metra trains offer service in nearby Lake Bluff and Libertyville via the Union Pacific North Line and the Milwaukee District North Line. Metra trains offer service in nearby Waukegan via the Union Pacific North Line. The opening of the Six Flags Great America amusement park in 1976 brought new development to Gurnee, and the addition of Gurnee Mills super-mall in 1980 nearly doubled the population. New housing and industrial developments promise even greater expansion for the future. Elementary students attend either District 50 or 56 schools. High school students attend Warren Township High School in District 121. The Gurnee Park District offers a number of parks, facilities, and venues for recreation such as an aquatic center and ice rinks. 50 MILES Hainesville, Lake Countyâ&#x20AC;&#x2122;s oldest village, was first settled in 1836 by Elijah M. Haines and his family, and was officially incorporated in 1847. Known for its commitment to quality of life for its growing community, Hainesville is characterized by trails and farms combined with developments. Students attend school in Districts 46, 116, and 127. There are several parks in Hainesville, and residents of the village have access to the facilities of the Grayslake Park District or Round Lake Park District. Metra trains offer service in nearby Hainesville via the Milwaukee District North Line. Metra trains of fer ser vice in nearby Vernon Hills, Libertyville, Palatine and Barrington via the Nor th Central Ser vice, Union Pacific Northwest and Milwaukee District North Lines. Hawthorn Woods, located 31 miles northwest of the Loop, attracts buyers searching for rural solitude and an expansive home. Hawthorn Woods succeeds in taking advantage of all that suburban life has to offer. Education is a strong priority, and this is reflected in the area schools. Hawthorn Woods children attend public elementary school in Lake Zurich district 95. High school students attend Lake Zurich High School in district 95, or Adlai Stevenson High School in district 125, a recipient of the state’s “Excellence in Education” award. Hawthorn Woods has a parks and recreational department that continues to grow and it includes an aquatic center and a village barn community space. 26 MILES First settled in 1845 as the Lake Michigan shipping center of Port Clinton, Highland Park has upheld a proud tradition of gracious lakefront living for over 100 years. Situated on tall bluffs overlooking Lake Michigan, the community covers about 12 square miles with a mix of contemporary and traditional homes. The Ravinia area takes its name from these ravines and is home to Ravinia Park, North America’s oldest music festival. Small boutique stores line the streets of historic downtown Highland Park and lead you into Port Clinton Square. The Ravinia Business District and the Crossroads Shopping Center highlight this bustling community’s many commercial and dining outlets. Highland Park students attend school in Districts 112 and 113, which include a number of elementary and middle school options, as well as Highland Park High School. Rosewood Beach is a national award-winning beach located along the shores of Lake Michigan. The newly restored beach area includes a nature cove for ecological programs, a guarded swimming beach and a boat launching ramp. A fullyequipped community center, indoor ice rink, indoor and outdoor tennis courts, two public swimming pools, a 97-acre nature center, an 18-hole golf course, and some 340 acres of park land are among the facilities maintained by Highland Park’s Park District. Metra trains of fer ser vice in Highland Par k via the Union Pacific North Line. Metra trains of fer ser vice in Highwood via the Union Pacific North Line. Located in Lake County, Highwood is south of the Fort Sheridan Forest Preserve. The Celebrate Highwood festival was created in 2009 to bring together the Highwood Chamber of Commerce and the people within the community with the goal of making it a destination city. Students can attend elementary and middle school in North Shore School District 112 and High School in District 113. Parks and community facilities are located in the city of Highwood and include the Don Skrinar Recreational Center and Highwood Ball Park. 29 MILES Located in the southwest corner of Lake County, Kildeer was officially incorporated as a village in 1958 and has steadily grown since then. Kildeer is characterized by custom homes, lakes, wetlands, ponds, and wooded areas. Elementary and middle school students can attend school in District 96, while Lake Zurich High School in District 95 and Stevenson High School in District 125 serve the area. Recreational activities for residents include bike and walking paths set against a picturesque rural backdrop. Metra trains offer service in nearby Palatine via the Union Pacific Northwest Line. Lake Barrington is a village in Lake County that is comprised of a number of neighborhoods and residential spaces nestled within wetlands, woodlands and walking trails. Students can attend elementary, middle and high school in District 220, which is consistently ranked amongst the Stateâ&#x20AC;&#x2122;s top 5% school districts academically. The Lake Barrington Countryside Park District offers recreational amenities to the residents of the village that include tennis courts, playing fields, playgrounds, a pavilion area, and a spray park. 33 MILES Originally a summer camp in the 1880s, Lake Bluff today is a small, quaint community situated on the bluffs high above Lake Michigan. The village has a strong community spirit, with the charming gazebo on the village green serving as a focal point for the small central business district and a setting of many community activities. Lake Bluff is well known for its Fourth of July parade, attended by 25,000+ people, concerts on the green, Rib Fest and other events. Downtown also offers a variety of dining options and gathering spots along with shopping, entertainment and services. The Village covers about 4 square miles and has about 5700 residents. Students can attend school in District 65, which includes Lake Bluff Elementary School and Lake Bluff Middle School. High School students attend Lake Forest High School. Generous space is devoted to parks, beaches, and playgrounds and is maintained by the Lake Bluff Park District. A community recreation complex, several local tennis courts and golf courses provide year-round activities for residents of all ages. Metra trains of fer ser vice in Lake Bluff. Metra trains of fer ser vice in Lake Forest via the Union Pacific North Line. Lake Forest, incorporated in 1861, is a quiet residential area located 30 miles north of Chicago along Lake Michigan. With an area of approximately 17 square miles and a population of just over 20,000, Lake Forest is a small community within reach of downtown Chicago. Lake Forest is mostly residential with a mix of magnificent estates and homes of every conceivable size. The charming downtown, with historic Market Square, provides restaurants, shopping and a vibrant assortment of unique happenings. There are areas for shopping and dining. Students in the area can attend schools in District 67, which includes three elementary schools, Deer Path Middle School and top ranked Lake Forest High School. The area is also served by Lake Forest College and Lake Forest Graduate School of Management. Overseeing the lakefront beach that includes boating, swimming, and sailing facilities at Beach Park, the Lake Forest Park District also includes a fitness center, golf course, wildlife preserve and discovery center, as well as a dozen parks in the area with 350 acres. 42 MILES Lake Villa, 42 miles north of the Loop and 4.5 miles from the Wisconsin border, has been referred to as the “Gateway to the Lakes Region.” Settled in the early 1800s and incorporated in 1901, the Village quickly became a posh resort retreat. Today it is a thriving residential and business community that is attracting more homebuyers each year. Residents may choose from swimming, boating or volleyball in Cedar Lake and Deep Lake, to pitching horseshoes, or playing tennis or volleyball in Steven Sherwood Memorial Park. The majority of Lake Villa’s elementary students attend District 41, while District 34 serves a small portion of Lake Villa. Most high school students attend Antioch High School in District 117 or Grayslake High School in District 127, with the remainder going to Grant Community High School in District 124. Metra trains of fer ser vice in L a k e V illa v ia t h e N o r t h Central Service Line. Metra trains of fer ser vice in nearby Barrington via the Union Pacific Northwest Line. Lake Zurich is a village in Lake County that was first settled in the 1830s and is named after the body of water located within the village that was once known as Cedar Lake. First settled in the 1830s, the village was officially incorporated in 1896. Primarily a farming community, housing developments began being built in the mid 1950s. Today, Lake Zurich is a flourishing community. Elementary, middle school, and high school students can attend school in District 95. The Parks and Recreation Department within Lake Zurich maintains 32 parks that offer beaches, playgrounds, athletic fields, rental facilities, fitness and dance rooms, and nature parks and pathways. 37 MILES Settlers first arrived to Libertyville in the 1830s and in 1836 the residents voted to call their town Independence Grove. The name was eventually changed to Libertyville and was officially incorporated in 1882 with a population of 500. The population has doubled since 1960 to approximately 22,000, and has also expanded its borders. Libertyville students attend District 70 elementary schools. High school students attend Libertyville High School in District 128. Lake Forest College and the College of Lake County are both located nearby. The Villageâ&#x20AC;&#x2122;s Recreation and Sports Complex Department offers its residents a number of community activities and facilities available for use. Metra trains of fer ser vice in Libertyville via the Milwaukee District North Line. Incorporated as a village in 1957, Lincolnshire is located near I-94 and thirty-eight miles from Chicago. This lovely town boasts wonderful residential character. Most of the residential development resides east of the Des Plaines River while growing commercial and corporate buildings are west of the river. Lincolnshire is home to hotels including the Lincolnshire Marriott, which also houses a theatre company. Lincolnshire Commons includes numerous venues for dining and shopping. Lincolnshire is served by School District 103 and High School District 125. High School District 125 offers students the opportunity to attend Adlai E. Stevenson High School. The Village has a number of parks and paths throughout including soccer fields, basketball courts, playgrounds, venues for figure skating and ice hockey, tennis courts, as well as pedestrian and bike paths. 42 MILES This rural community is found among the woods and wetlands of the Chain Oâ&#x20AC;&#x2122;Lakes region. Lindenhurst was incorporated in 1956 and has over 400 acres of forest preserves, walking trails and open space. Lindenhurst students attend Districts 24, 37 and 41 elementary schools and Antioch High School in District 117. In addition to the forest preserves, village residents enjoy a wide choice of leisure activities. Itâ&#x20AC;&#x2122;s in close proximity to Illinois Beach State Park the park district maintains 18 parks throughout Lindenhurst. Metra trains offer service in nearby Lake Villa via the North Central Service Line. Metra trains of fer ser vice in nearby Palatine via the Union Pacific Northwest Line. Long Grove is a tranquil, rural village nestled amidst woods and water. Following its incorporation in the 1950s, this village combated large commercial and industrial developments by limiting city ordinances. Today, Village legislation still protects historical landmarks and imposes a minimum one-acre lot size to ensure a rural atmosphere. Long Grove attracts visitors to its historic shopping area with local country-style shops and boutiques for specialty handcrafted gifts and antiques. Long Grove elementary students attend District 76, 79, and 96 schools. High School students attend Adlai Stevenson High School in District 125. The Long Grove Park District owns approximately 450 acres of ponds, streams, wetlands, plants, wildlife, and recreational space. 27MILES Mettawa (pronounced â&#x20AC;&#x153;met-OW-uhâ&#x20AC;? by residents) is a small village named after a Pottawatomi Native Indian Chief. Extending one mile east to west and about four miles north to south, Mettawa is east of Vernon Hills and Libertyville, west of Lake Forest, south of Green Oaks and north of Lincolnshire, and is bordered by forest preserves on several sides which provide ample opportunities for biking and hiking. Mettawa has a small amount of office and business park space but no retail enterprises within its borders. The Village was incorporated in 1960. Students attend school in Districts 73, 70, 72, and 103 and most high school students attend school at either Adlai Stevenson High School in District 125 or Libertyville High School in District 128. Mettawa is home to Whippoorwill Farms Park, a forest preserve. Metra trains of fer ser vice in nearby Vernon Hills via the North Central Service Line. Metra trains offer service in nearby Libertyville and Lake Forest via the Milwaukee District North and Union Pacific North Lines. The city of Mundelein was named after George Cardinal Mundelein in 1924. To show his appreciation, the Cardinal donated the communityâ&#x20AC;&#x2122;s first fire engine. Despite the growth of industry, city ordinances have set standards that have preserved the rural atmosphere. Mundelein has two shopping areas, one featuring a small-town atmosphere with small family-owned businesses and the other with larger chain stores. Students attend elementary schools in District 75. Mundelein High School, District 120, was acknowledged for excellence by the Illinois and National Association of School Boards. Mundelein has an award-winning Park District, with nineteen parks, nine golf courses, and both indoor and outdoor swimming pools. There are six lakes in the area and an extensive system of scenic trails provide endless enjoyment for bikers and walkers. 35 MILES The Barrington area spans over 95 square miles, and it was first settled in the 1830s and 1840s. As time went on, there were residents who preferred the North Barrington area. In 1959, residents voted to incorporate the area into the Village of North Barrington so that the community could have a direct influence on their environment. The entire village is within Lake County. Most of the village is served by School District 220, and there is a portion that is served by District 95. A Parks and Recreation Commission advises the President and Board of Trustees regarding the programs, facilities and events for the community. Metra offers service in nearby Barrington via the Union Pacific Northwest Line. Metra offers service in nearby Deer field via the Milwaukee District North Line, and Buffalo Grove, via the North Central Line. Riverwoods is a village within Lake County that was first incorporated on the Des Plaines River in 1959. The architecture styles of the residential areas within Riverwoods range from mid-century to Prairie Modernist. The Village is served by four elementary school districts and two high school districts that include Districts 109 and 113. The community has the Riverwoods Wildlife Preserve and Ryerson Conservation area as locations for recreational activity. 50 MILES Founded in 1908, the village of Round Lakeâ&#x20AC;&#x2122;s history is rooted within the rail transportation. An offer was made by Amarias White to build a railway station on a free site, as long as it was built in what is known now as Round Lake. The offer was accepted as long as streets were built that lead to the railway station. White eventually became the first village president. Today Round Lake is a charming suburb that continues to experience growth. Round Lake is served by School District 116. The Round Lake Park District was created in 1974 and maintains the communityâ&#x20AC;&#x2122;s recreation programs, facilities and open spaces. Metra offers service in Round Lake via the Milwaukee District North Line. Metra trains of fer ser vice in Round Lake Beach via the North Central Service Line. A small but quaint town, Round Lake Beach is sure to catch the eye of anyone who is looking for suburban living with beautiful lake views and rolling, tree covered land. Round Lake Beach became an incorporated village in 1937 and has since then grown into the largest community in population in West Lake County. With the added commercial growth of Rollins Road and North Cedar Lake Road, Round Lake Beachâ&#x20AC;&#x2122;s business community has begun to prosper and the town has been growing consistently. The Village of Round Lake Beach is within the Unit District 116 which provides schooling for elementary, junior high and high school students. Some of the neighborhoods located inside Round Lake Beach lie within Avon School District 47, Lake Villa District 41, Grayslake District 46, Grayslake Community High School District 127 and within District 532 for the College of Lake County. Round Lake Beach is very proud to showcase their very own beachfront park on Round Lake, called Lake Shore Park. The Village also has a boat launch ramp, a sand swimming beach, two playgrounds, a nature trail and more. For indoor recreational activities, Round Lake Beach offers a plethora of recreational and sports programs through their award winning Round Lake Area Park District. 28 MILES Some of the benefits of the Vernon Hills lifestyle include a fine park district, an on-going tree-planting program and continual development of business parks. Corporate Woods Parkway and Continental Executive Park are two of Vernon Hillsâ&#x20AC;&#x2122; business parks, spanning more than 800 acres. The community is also known as a large retail center. With the fine and expansive Hawthorn Center and other shopping centers, the Vernon Hills retail community has much to be proud of. Vernon Hills is served by school Districts 73, 128 and 125. Most elementary age students attend Hawthorn Community Consolidated School in District 73. High school students attend Vernon Hills High School. The park district has a community center and 314 acres of parks. Other facilities include ball fields, picnic shelters, playgrounds, multi-use athletic fields, outdoor skating rinks, a sled hill, aquatic center, tennis courts, and a golf course. The Arbor Theater is an outdoor theater that is surrounded by lush gardens. Metra trains of fer ser vice in Vernon Hills via the North Central Service Line. Known as “The Village of Country Living,” this small, quiet town has barely changed since 1847 when trains rolled into the depot dropping off supplies to local farmers and picking up milk to carry back to Chicago. Even the town’s original one-room schoolhouse survives, now serving as the village hall. Farms still exist in this community of 2500 people, and the village is fast becoming a favorite escape for those seeking refuge from the more crowded communities to the south. Wadsworth’s elementary and high school students attend school in neighboring Gurnee. K-8 students attend either Gurnee Grade School in District 56 or Milburn Grade School in District 24. High school students attend Warren Township High School in District 121. Rolling, open terrain surrounded by thick forests characterize the landscape of Wadsworth. Wetlands and nature preserves are found in the outlying areas. 45 MILES Wauconda is a village within Lake County. In 1850, the first town meeting was held and it was thought that most settlers arrived from New England and New York. In 1872, it was approved to officially incorporate Wauconda into its own village. Wauconda is served by School District 118, which includes elementary and middle schools, and also a high school. Bangs Lake is a natural glacial lake that is managed by Wauconda. It is considered a popular destination for recreation, and the Wauconda Park District maintains the beaches and facilities around the lake. Metra trains of fer ser vice in Waukegan via the Union Pacific North Line. Waukegan is situated 34 miles north of Chicago and 60 miles south of Milwaukee on Lake Michigan. The Jack Benny Center for the Arts is home to the Waukegan Symphony Orchestra and Chorus, The Bowen Park Opera Company and the Community Players. Art galleries and studios have sprung up along historic Genesee Street, attracting art enthusiasts to the community. The Waukegan Public Library is one of the largest in Lake County and has been nationally recognized. Students attend school in District 60, which offers a number of elementary and middle schools. High school students attend school at Waukegan High School. The Waukegan Park District controls 735 acres of land that include a bird sanctuary, nature preserve, wetlands area, four recreation centers, a fitness and aquatics center, a number of playing fields, a skate park, BMX track, dog park, and jogging/hiking trails. 60 MILES Winthrop Harbor is a village in Lake County. Its namesake comes from Winthrop, Massachusetts. The area is served by School District 1. Winthrop Harbor is home to North Point Marina, which is the largest marina on the Great Lakes. The marina includes over 1,500 boats, and also has public beaches, recreation facilities, and charter fishing. The Village maintains several beautiful parks and also offers Schlader Recreation Center, which is 20,000 square feet of indoor space in which the community can enjoy for year-round activities. Metra trains of fer ser vice in Winthrop Harbor via the Union Pacific North Line. Metra trains offer service in Zion via the Union Pacific North Line. Zion was founded in 1901, and was one of the first planned cities in the United States. It was platted to imitate the layout of the British Union Jack flag. Zion has retained its rich heritage while also embracing change and growth. The schools in the Zion district include Beach Park Consolidated District 3 and Zion Elementary District 6. Zion and neighboring cities are served by Zion-Benton Township High School in District 126. The Zion Park District was founded in 1946 and has over 20 parks and numerous trails and venues for golfing. The community also has easy access to Lake Michigan. Metra trains of fer ser vice in Crystal Lake via the Union Pacific Northwest Line. Crystal Lakeâ&#x20AC;&#x2122;s first settlers arrived in 1836, and the city was officially adopted in 1914. The historic charm of Crystal Lake is well preserved, largely in part due to the Historic Preservation Commission which offers Heritage Trolley Tours that visit significant places within the community. The city has continued to change dramatically since World War II and it has remained a desired destination for relocation. Students can attend elementary and middle school in District 47 and high school in District 155. The Crystal Lake Park District has been serving its community since 1921 and includes 42 parks that span over 1,400 acres. Facilities offered are a nature center, beaches, golf center, softball complex, recreational center, racket club, banquet center, and numerous picnic shelters.